First ever Battlerite LAN-tournament in CIS was held on 30th of September, during epic gaming convention IgroMir in Moscow! Discipline attracted lots of DOTA 2, League of Legends and Counter-Strike players, and it took just 3-4 minutes for them to get what Battlerite is. I see Battlerite as a spectacular mix of Mortal Kombat, Quake and DOTA 2 (or LOL - whatever you like). Tournament was held on ASUS territory, one of the largest booth on the festival. Alongside the tournament Abver streamed most important games and gave visitors lessons on how to switch to Battlerite. The winner is the team Dancing Penguins, which consists of ex-pro gamers from Bloodline Champions - predecessor of Battlerite. 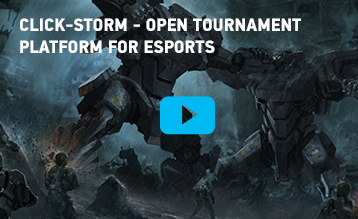 Tournament brackets can be found here: http://click-storm.com/en/event/29/. 80 lvl crowd on Igormir. Just a half of it!